Developing resilience appears to be a hot topic in business circles, as it is the further evolution from stress management. 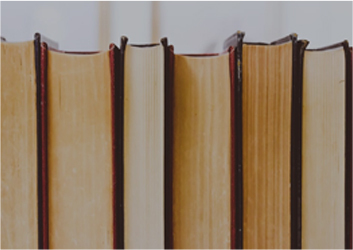 Reading media publicity, authors and trainers, the concept is being pushed as a key to unlocking business performance, helping people cope more effectively and efficiently with the stresses and strains within the modern day workplace. The importance of resilience really begins to emerge when we consider the range of different workplace situations where it is required – for example, dealing with organisational change, threats to job security, feelings of restricted control or autonomy, or a heavy workload. Some people will handle these situations better than others – those who are able to successfully draw upon a combination of their personality and learned behaviours will cope with the problems, and perhaps even turn them to their advantage, with resulting individual and organisational benefits. “Emotional resilience” is more hard-hitting than many of the other methods promising to keep us cool, calm and collected. Originally developed to help victims of natural disasters and massacres cope with catastrophe, it is slowly infiltrating workplaces, schools and communities. No matter how you define resilience, most agree there’s less of it around than is actually required, and this could well explain the increasing incidences of poor mental health. How do we get more of it? Resilience is not just about survival, it helps us to grow and develop so that we can successfully navigate our careers in the modern world. Contrary to popular belief, resilience is not something that either you have or don’t have; we do not have a ‘fixed level’ of resilience so it can be developed. Resilience training – which draws on elements of Cognitive Behavioural Therapy (CBT) and positive psychology – seems to have a real impact on peoples’ self-reported ability to cope. 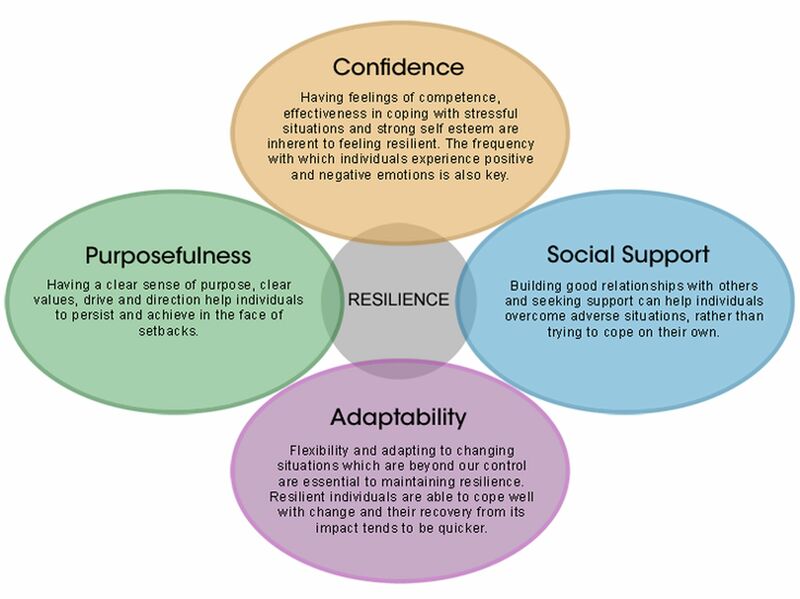 Robertson Cooper in their website “A Good Day at Work” state that resilience is derived from four principal factors: confidence, a sense of purpose, social support and adaptability – see diagram below. Many people typically rely on one or two of these but may need help to make the most of the strengths they have, and use those to build and maintain their resilience to find the best way through life’s challenges. The best way to begin developing resilience is to understand these components, and identify which of them you tend to draw on naturally. From there you can start to adopt alternative and more constructive coping strategies in certain situations, and avoid any possible risks of over-using your strengths. People with a negative mind-set are far less resilient. For example, negative people may expect to lose their jobs as a result of change. This immediately puts them on the defensive so they perform less well, and consequently their fear ultimately can become a self-fulfilling prophesy. By contrast, more positive people see the opportunities in change and are likely to benefit accordingly. Changing mind-set is not an easy task, but it can be done. It is also worth remembering that the fundamentals of good diet, plenty of exercise, rest, good quality sleep, minimal alcohol and other drug intake cannot be ignored, as they have a huge effect on how much pressure someone can handle. Resilience helps you to boost your own levels of confidence and emotional well-being, and gives you a brighter outlook on life. Resilient people are less likely to suffer from severe mental health problems, and even if they do, they are better able to manage it using resilience techniques. See crises as challenges to overcome; not insurmountable problems. Surround yourself with a supportive network of friends and family. Can you ask for support when it is needed? Accept that change is part of life, not a disaster. Take control and be decisive in difficult situations. Nurture a positive view of yourself – don’t talk yourself down or focus on flaws. Look for opportunities to improve yourself; a new challenge, social situation or interest outside work. Set goals and plan ways to reach them. Keep things in perspective: learn from your mistakes and think long-term. Practice optimism and actively seek the good side of a bad situation. Practice emotional awareness: can you identify what you are feeling and why? Look after yourself, through healthy eating, exercise, sleep and relaxation. Developing relationships and a passion for what we do. Take the time to learn, think and build knowledge. You are transparent: you can admit things are difficult and let others know this is how you are feeling. You have realistic expectations of yourself: you are not a perfectionist and can give yourself a break. You deal with problems effectively: feeling stressed may all be about (a) your perception about the meaning of events, (b) your reactions, and (c) knowing what can and should be changed as opposed to what cannot be. You communicate assertively: you have achieved a balance between not bottling up feelings and not over-reacting, but communicating clearly in a way that is respectful of yourself and others, including saying “no” when you need to. You have inner buoyancy: the confidence to feel that you will survive and come through hard times, a sense of optimism and engagement with life and work, underpinned by strong personal values. You are able to return to a calm state after feeling upset or emotional, and think through possible consequences of actions – the ability to switch off and refresh. You have an internal ‘locus of control’- i.e. not feeling like a victim. Resilient people possess three characteristics — a staunch acceptance of reality; a deep belief often buttressed by strongly held values that life is meaningful; and an uncanny ability to improvise. You can bounce back from hardship with just one or two of these qualities, but you will only be truly resilient with all three. These three characteristics hold true for resilient organisations as well. Resilient people know that a situation, good or bad, has to be accepted before it can be changed. Acceptance is a key component of resilient thinking – don’t fight reality as you won’t win. Self development and training alone is not enough to change a culture. Training in resilience should not be seen as a sticking plaster covering up organisational weaknesses. Poor job design needs to be addressed. Targets and deadlines need to be realistic. Senior people must not condone a bullying culture which disregards organisational dignity at work policies. Resilience should be seen as part of your organisational well-being approach. As such, part of developing resilience is to encourage good social connections at work, so that people do not feel isolated. In a Harvard Business Review survey, 75% of Managers said that the biggest drain on their resilience reserves was “managing difficult people or office politics at work.” That was followed closely by stress brought on by overwork, and by having to withstand personal criticism. These are issues which senior management can address. Develop your employees’ creative problem solving skills. Provide training in handling difficult situations and how to deal with conflict skilfully and when to use mediation. Facilitate emotional resilience in the workplace by providing a pleasant physical working environment (e.g. good lighting, ergonomic seating, etc.). Promote healthy behaviour in the workplace (e.g. healthy eating, physical activity). Provide training for employees and Managers to recognise and take early action to ameliorate conditions that can produce stress. Create opportunities for ‘good work’ – i.e. characterised by employment security, task variety, autonomy, fair treatment and reward for effort, strong workplace relationships and effective development and use of skills. Support employees with mental health problems (and other health issues). Encourage Managers to think creatively about their own well-being and emotional resilience, helping them to identify their own stress triggers, and creating strategies to cope, should this be required. Resilient people and companies face reality with staunchness, make meaning of hardship instead of crying out in despair, and improvise solutions from thin air. This is the nature of resilience, and we may never completely understand it. It is, however, important because it not only makes people more productive, but helps protects them against the development of mental health problems. If you are interested in undertaking a free i-resilience report, then follow the link on the Good Day at Work website: http://www.robertsoncooper.com/improve-your-resilience/i-resilience-free-report-preview. Our Consultants wouldbe pleased to advise you on any element of the issues arising from this newsletter.